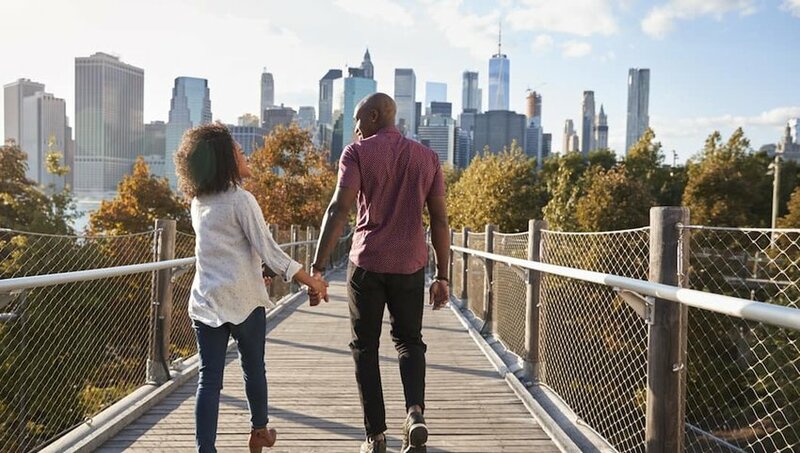 How Travel Can Tell You If Your Partner is "The One"
You may have heard it said before — traveling with someone is the fastest way to get to know the inner workings of another person. It’s kind of like sneaking a peek at their personality cheat sheet. 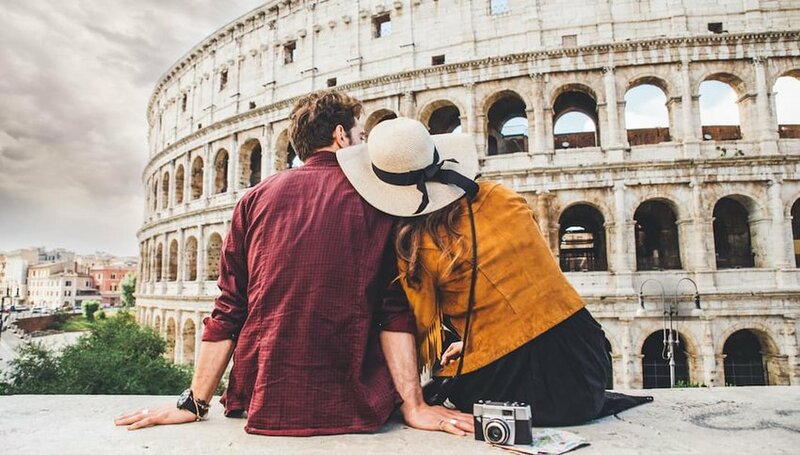 By traveling with someone, you’re able to gain knowledge on things that would take you months (sometimes years) to discover if you didn’t travel together. That’s because travel can bring out the best or the worst in people. Let’s face it. Every trip isn’t a bed of roses. Flights get delayed, buses come late, hotels lose reservations and sometimes that nice-looking suite you booked online doesn’t look so great in person. Life and love are easy when everything is going smoothly. But it’s how your partner reacts to all the bumps in the road during a trip that will tell you if they’re really The One for you. I know this for a fact because I met my future husband when we were both traveling and working abroad. Since we met, we’ve worked in multiple countries together and have traveled consistently for the last five years. During our travels, we’ve faced major life events together. From a near-death bus accident in Southeast Asia to scuba diving the best dive sites in the world, from the stress of finding new jobs in a foreign country to paragliding over the Turkish Riviera, from overcoming natural disasters to living the majority of our lives together in a one-room bungalow — we’ve experienced a lot. It was how we enjoyed the highs, but particularly how we dealt with the lows that made us both realize that we were right for each other. When your travel plans unfold perfectly, you’re sitting on the sand, drink in hand, watching the sunset. Who wouldn’t be in a good mood? When you miss your connection and you’re waiting for hours in an airport lounge when you should be beachside with a cocktail — that’s when stress rears its ugly head. The truth about travel is, you’ll get there when you get there. And everything that happens in between is part of the adventure. If your partner doesn’t see it this way, it can be a bit of a buzzkill. Especially if they ruin the start of a trip by coping a bad attitude or clinging to a grumpy mood. Travel is full of surprises, which is usually what makes it so much fun. However, some people aren’t able to go with the flow, which offers insight into how flexible they’re willing to be in other areas of their life. If your partner gets agitated with a last-minute change of plan, a room mix-up, or a flight change, then it might indicate their inability to relinquish control or change their perspective. It’s easy to forget that not everyone in the world speaks English. When traveling to a country where English is not readily spoken, you’ll both face the challenge of communicating with locals who don’t speak your language. Showing patience and understanding when a waiter gets your order wrong or the receptionist doesn’t understand a request demonstrates how tolerant and kind your partner really is. Traveling with your partner is like signing up for a trial period of living together. Curious what the first thing your partner does when they get up in the morning or the last thing they do before they go to bed? You’ll find out that, plus everything in between. Traveling with your partner means you see them every second of the day and night. You’ll learn how they like to start their day, what they do to unwind, and any little tic or habit they may have. You’ll also get to see how organized they are (or aren’t). Traveling with your partner, even for a few days, can be very telling of the future. Traveling or taking a vacation means different things to different people. To some, it’s all about relaxing and doing as little as possible. Others are like to splurge on spa treatments and luxurious dining experiences. And there are those who like to set an alarm, get up early, and pack as much exploring, sightseeing, and adventure into one day as humanly possible. It’s hard to travel with someone who prefers to lounge under a beach umbrella when all you want to do is trek to the top of the volcano in the distance. If your partner has the same idea of what a “vacation” is, then you’re likely to enjoy your time and want to travel together again in the future.